property Xiangmin Shi et al. All Copyright © 2013 are guarded by law and by SCIRP as a guardian. 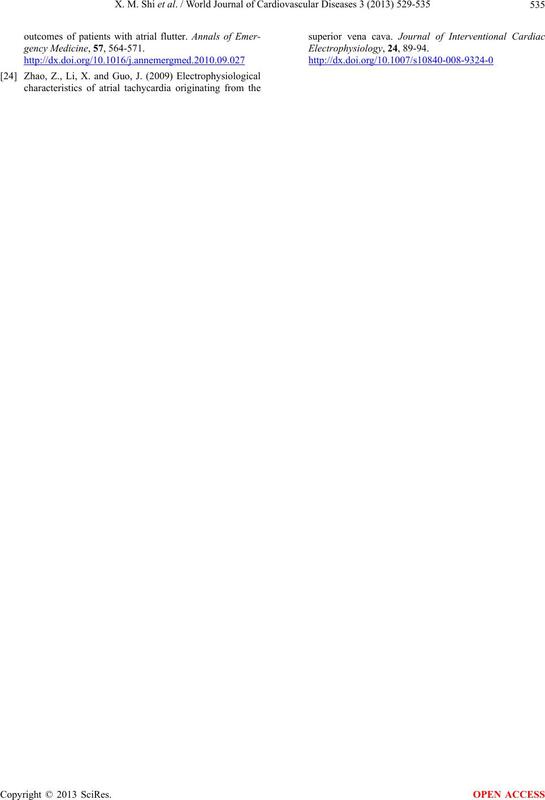 lation in the treatment of TIC. 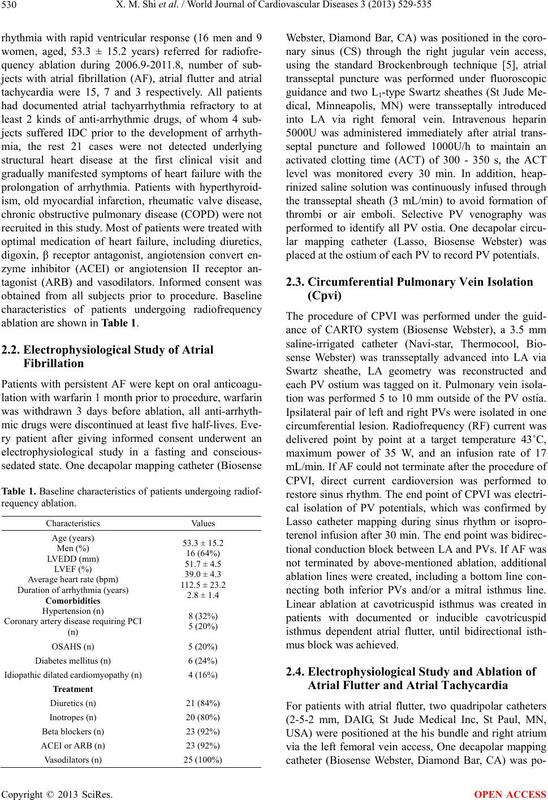 ablation are shown in Table 1.
placed at the ostium of each PV to record PV potentials. tion was performed 5 to 10 mm outside of the PV ostia. necting both inferior PVs and/or a mitral isthmus line. 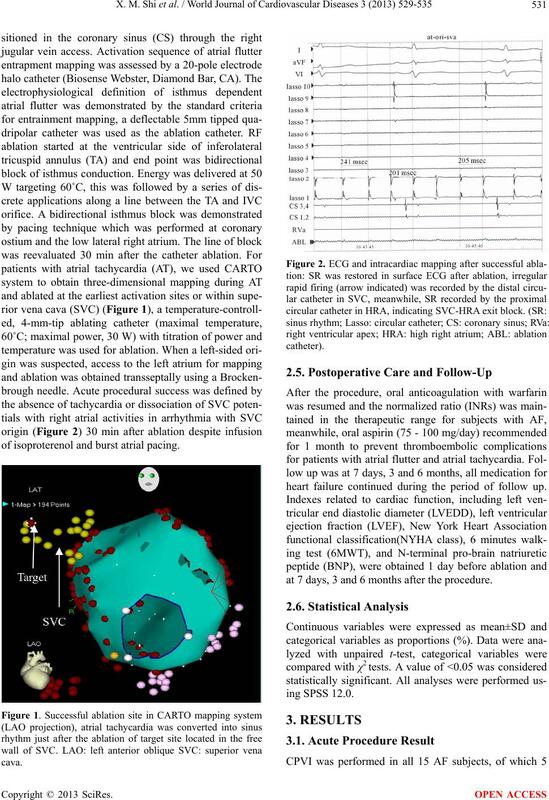 of isoproterenol and burst atrial pacing. 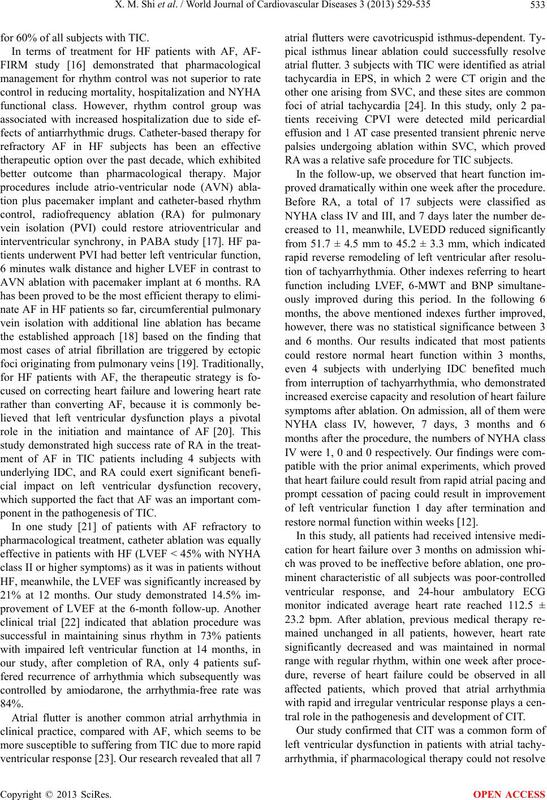 heart failure continued during the period of follow up. at 7 days, 3 and 6 months after the procedure. and the other one arising from superior vena cava (SVC). CT: crista terminalis; SVC: superior vena cava. normal cellular remodeling and calcium handling [11,12]. for 60% of all subjects with TIC. ponent in the pathogenesis of TIC. RA was a relative safe procedure for TIC subjects. proved dramatically within one week after the procedure. restore normal function within weeks . tral role in the pathogenesis and development of CIT. implications on the projections for future prevalence. del Academie de Nationale de Medecine, 190, 1225-1235. Grogan, M., Smith, H.C., Gersh, B.J. and Wood, D.L. ble phenomenon? British Heart Journal, 53, 323-327.
tions. 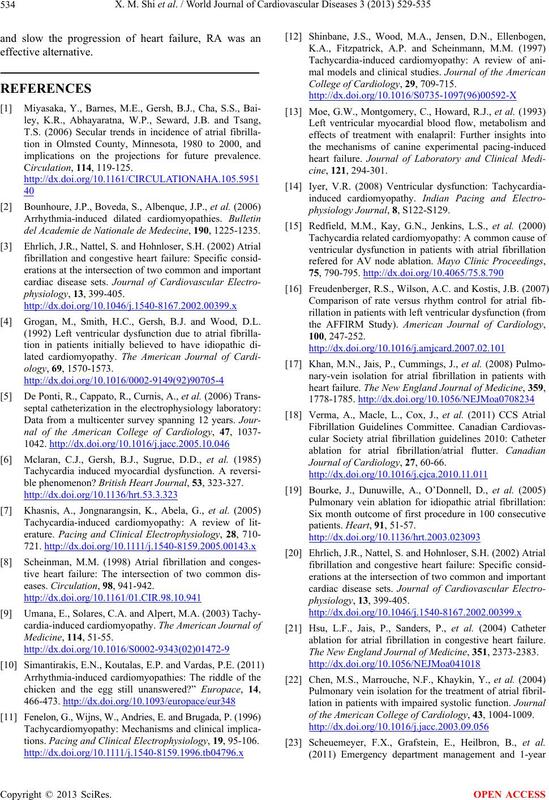 Pacing and Clinical Electrophysiology, 19, 95-106. College of Cardiology, 29, 709-715. 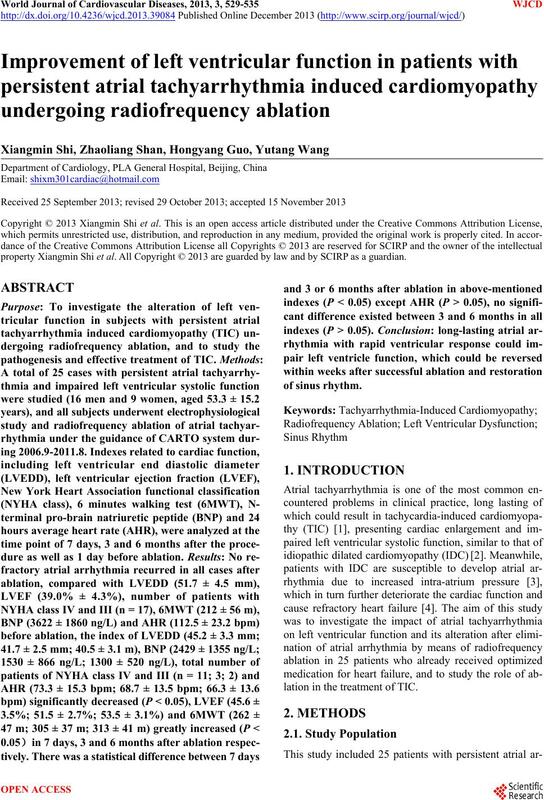 Journal of Cardiology, 27, 60-66.
ablation for atrial fibrillation in congestive heart failure. 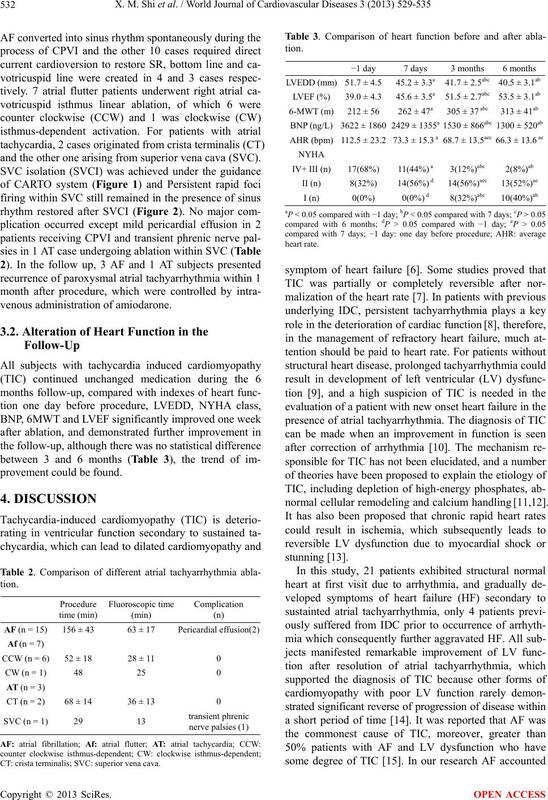 The New England Journal of Medicine, 351, 2373-2383.
of the American College of Cardiology, 43, 1004-1009. Scheuemeyer, F.X., Grafstein, E., Heilbron, B., et al.